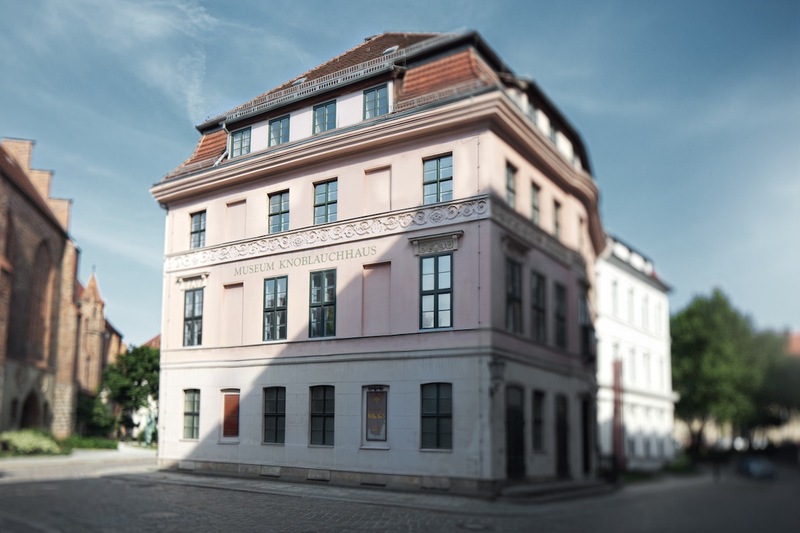 The Knoblauchhaus is a museum devoted to the Biedermeier era in Berlin. The former residence of the Knoblauch family is one of the few remaining 18th century town houses in Berlin. In its reconstructed living quarters, which are true to the original, exhibits and documents give visitors a glimpse of the life of this well-to-do family. They also offer fascinating information about the architecture, economy, culture and social life of the Biedermeier era. In 1759, the wire drawer Johann Christian Knoblauch purchased the building that stood on the site before the Knoblauchhaus was built. Once this had been demolished, he had a grand, three-storey corner house in the late Baroque style built in its place. When the Nikolaiviertel was redesigned to celebrate Berlin’s 750th birthday, the building was comprehensively renovated, in accordance with historic conservation practices. Thanks to the support of descendants of the Knoblauch family, this treasure from the Biedermeier era now belongs to the Stadtmuseum Berlin. Enjoy three rooms of the Knoblauchhaus in a 3D-tour now. You can move through the rooms with click and drag or arrow keys. Please note our revised opening times during holidays. Details at Mobidat (in German).